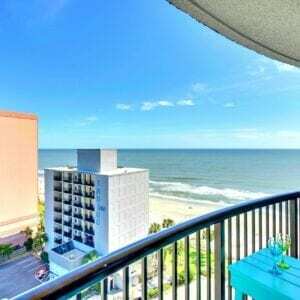 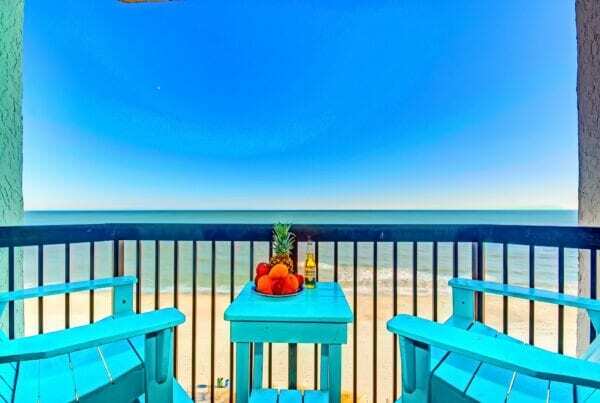 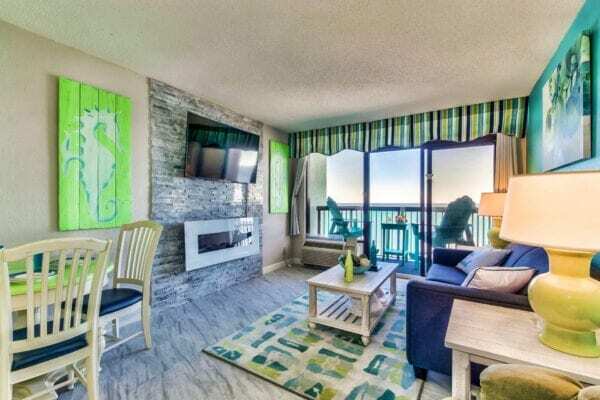 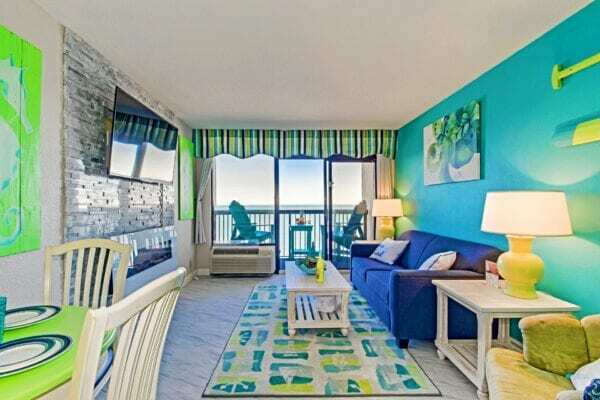 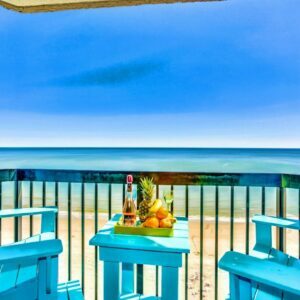 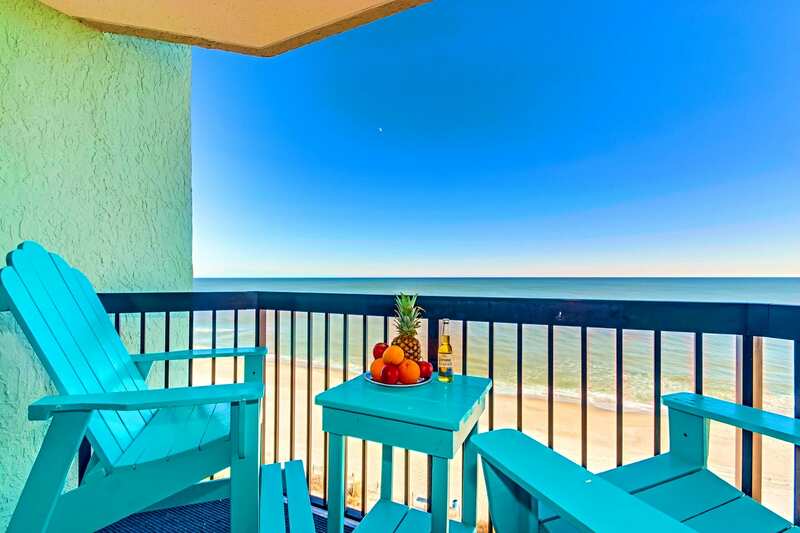 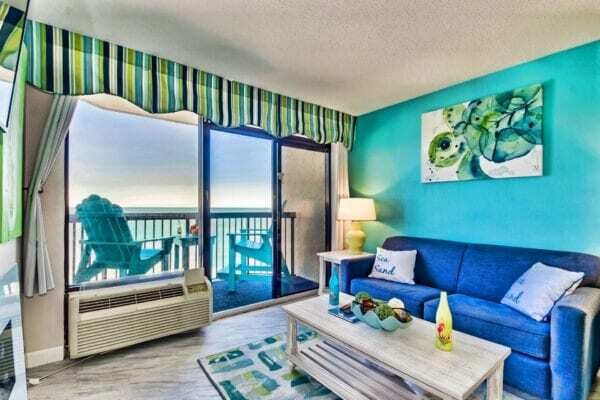 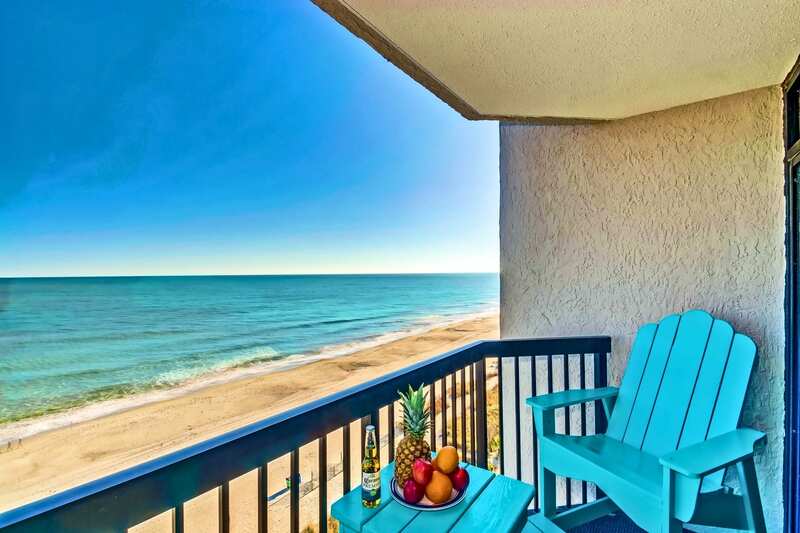 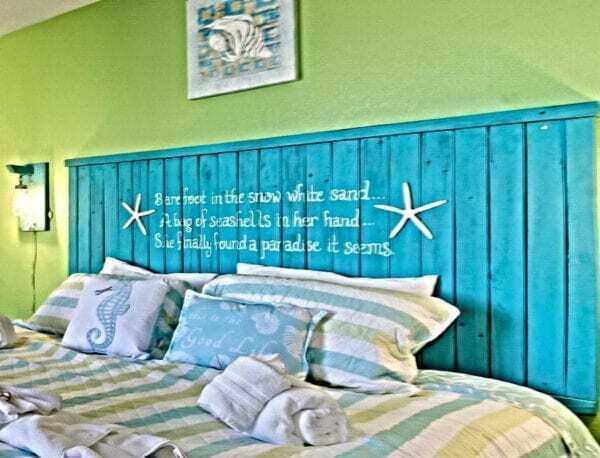 WOW this is a must see ocean front condo at Myrtle Beaches top family resort . End corner unit so there is no one to the north of you and a huge window with an unobstructed view of the ocean from the bedroom. 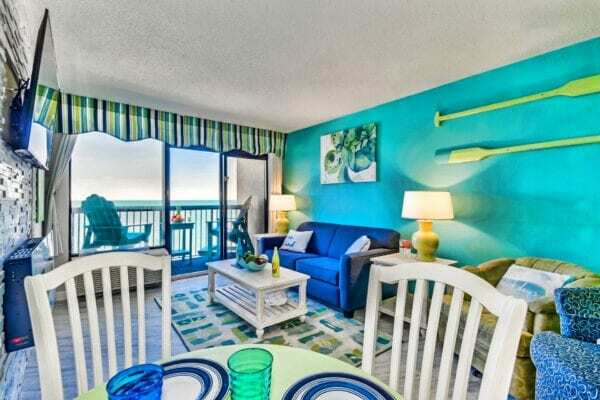 There are only 1 end unit per floor and it is one of the most popular units in the resort. 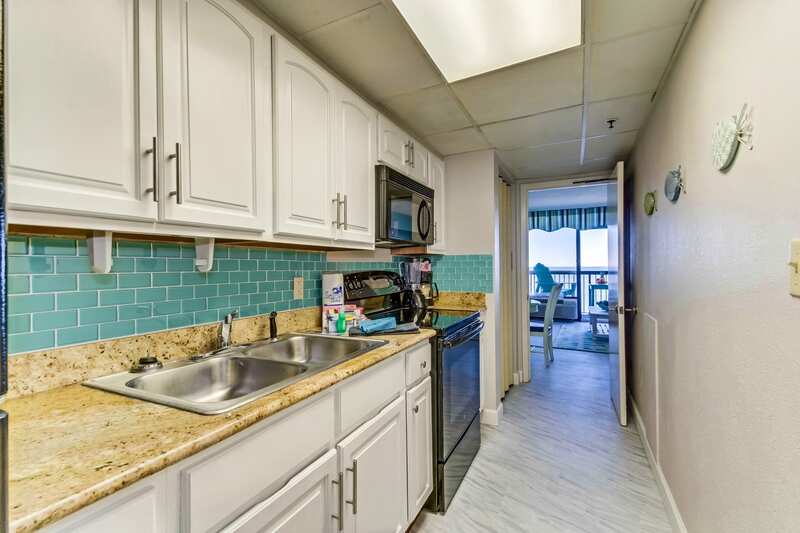 The north end units are larger then the other 1 bedrooms…. 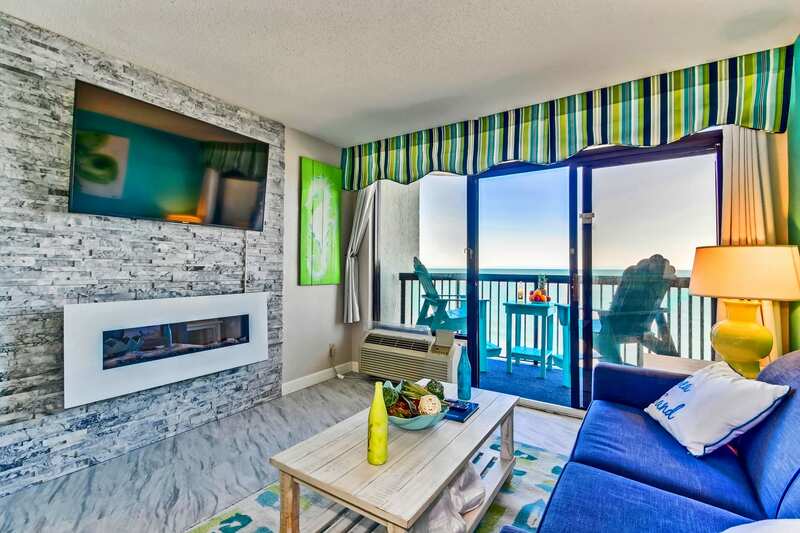 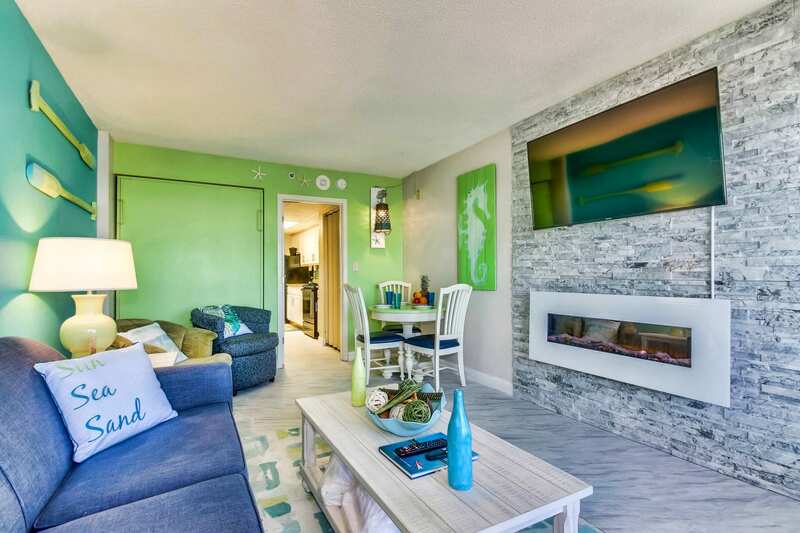 I Completely renovated this condo from top to bottom… Beautiful custom marble gray floors, rock tile fireplace with 58″ flat screen tv, custom hightop sitting Adirondack chairs to look out in the beautiful Atlantic ocean . 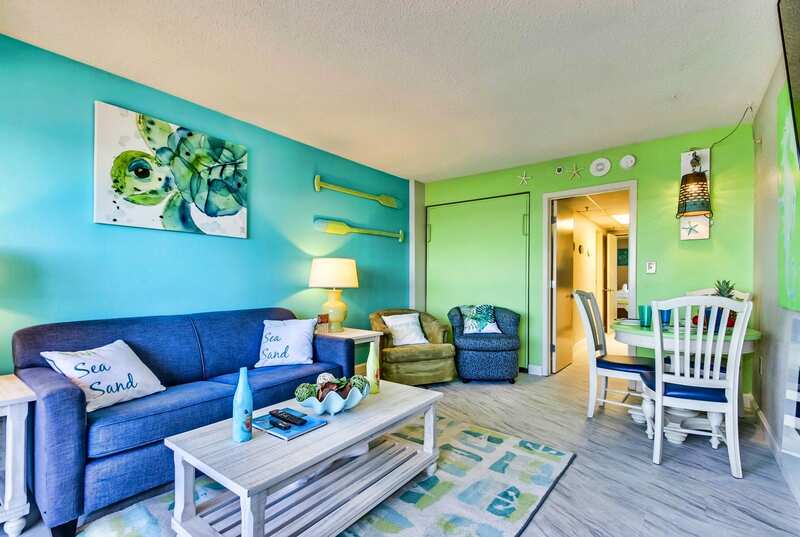 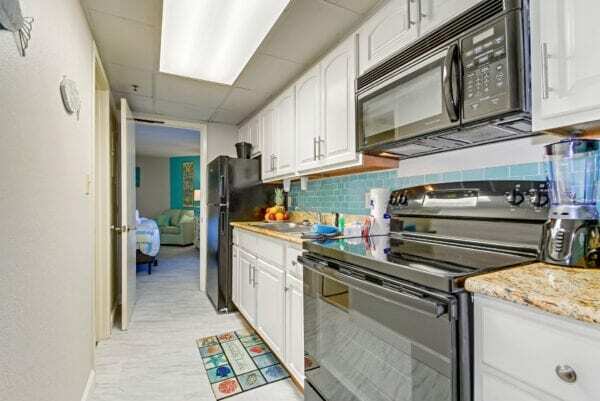 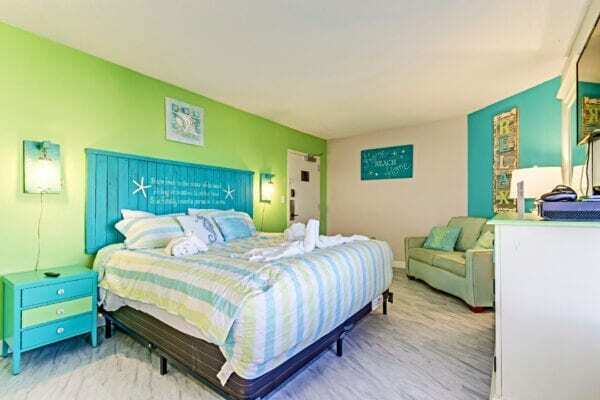 HUGE king size comfortable pillow top bed which is rare in these units, xbox one with games, beautiful beachy paint and decor, sleeper sofa, pull down murphy bed, full kitchen with granite, backsplash and updated black appliances. If you know Compass cove you know it is the number one resort in Myrtle beach. 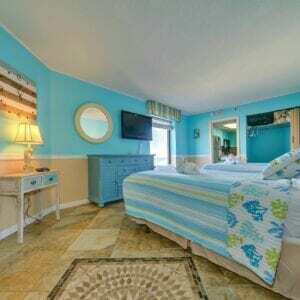 With over 23 pools and water features Compass Cove is top rated family resort in area. 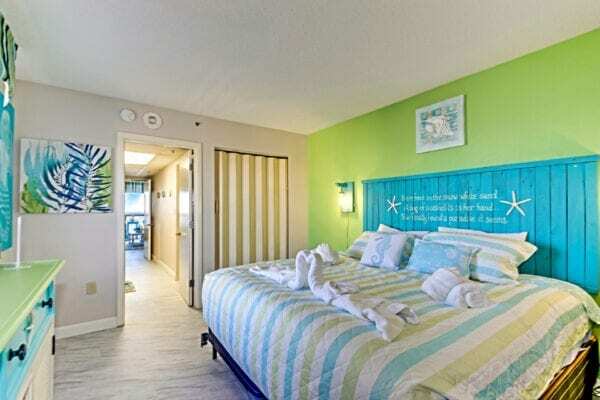 Has 2 different indoor water park areas, Several hot tubs,3 different lazy rivers, 2 being indoor. 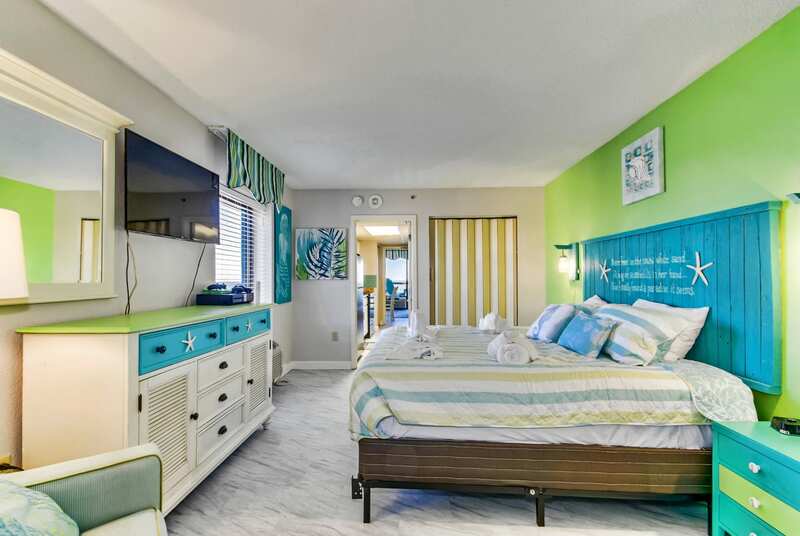 a HUGE kids water park, , 2 different onsite restaurants with the best breakfast in town . 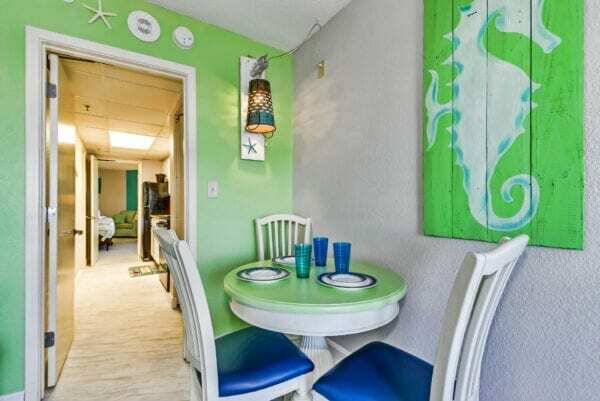 Has a great restaurant called the crows nest over looking the ocean which is steps away from my condo. As of Summer 2016 a brand new starbucks is now located in the lobby of my building. Compass cove has the largest pool deck in myrtle beach stretching across 720 ft of beach access. 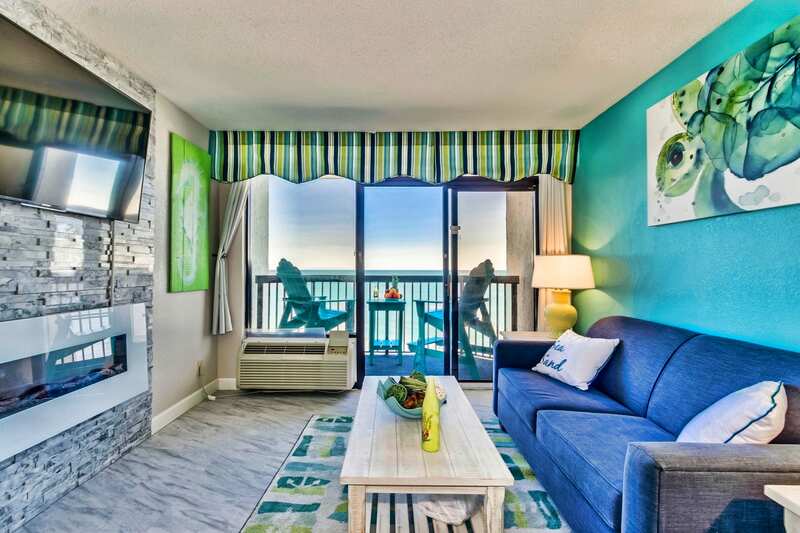 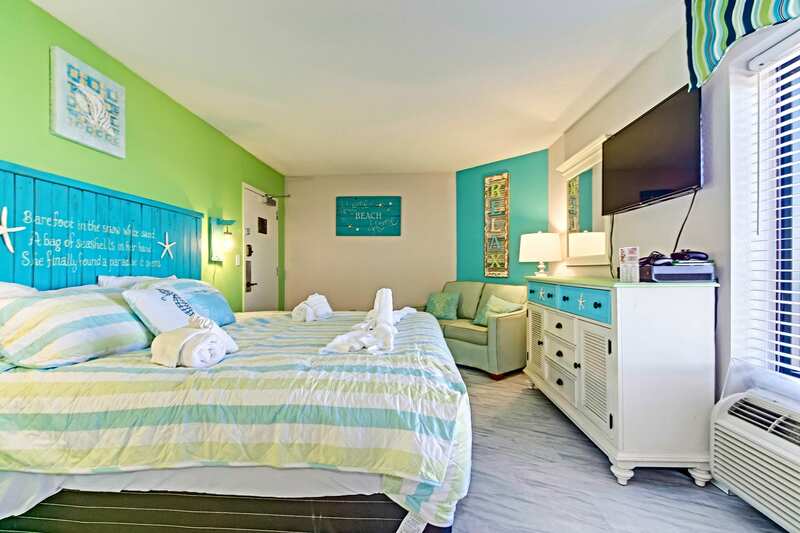 Once you visit Compass Cove you will never want to visit another resort when visiting Myrtle Beach.